[RM2K] Seraphic Blue English (Complete)! NOTE: This is NOT created by me. It is created by a man named Tempura (known as Sakaki in the game credits). I am the sole translator of this game, and has permission to translate this game by Tempura himself. 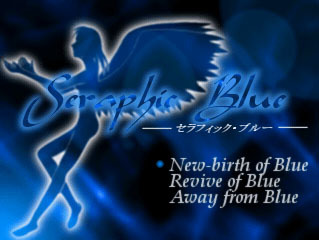 Seraphic Blue is a 50+ hour epic RPG made in RPG Maker 2000 v1.51, and is highly-received in the Japanese RPG Maker community. It has 2 versions: the original (made in 2004) and Director's Cut (made in 2006). The version translated here is of course Director's Cut. The translated version covers all 44 episodes of the game. - Precise cutscene transitions and dialogue pauses, making the cutscenes feel more alive. Game manuals can be found in the Manuals Folder in the game folder itself. Known to men as black-winged demons. Besides having black wings, they are also physically bigger and stronger than the ordinary humans. These demons appeared out of nowhere 20 years ago, and has since increased in numbers. Their nature is extremely violent, and ever since their appearance, they have haunted and endangered the lives of many innocent civilians. 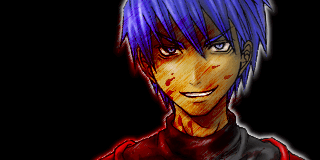 But all this was nothing compared to the events of 10 years ago, when the most feared of the Devils, Devil Disastia, was born. This terrible monster lived up to its name and brought forth a major "disaster",, causing the deaths of millions of people until its fall that very same year. Beings with white wings, initially believed to be just a fantasy. But the fantasy turns out to be reality, as there are recent sightings of child angels in the small village of Hawick. These angels were found abandoned in the outskirts of Hawick as infants and the people of Hawick were kind-hearted to take them in. Hawick then became a haven for these "infant angels" under the care and protection of the villagers. It is still a mystery as to where the infant angels come from, or why they have been abandoned. Lake Llandovery wakes up in a room to find a doctor. And realizes he had fainted for some reasons. The doctor, on coming to know of his status as the "Devil Sweeper", makes a request to sweep off the wandering Devils in a nearby forest that poses a great threat to the small town of Turku. Lake accepts his request and heads for the forest. 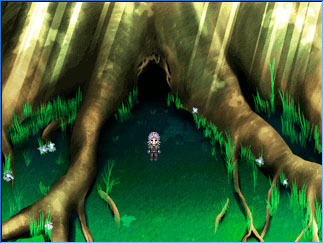 A mysterious young boy by the name of Ende suddenly appears after Lake slayed the Devil tribe leader in the forest. Ende summons a menacing creature, Irmgard, that threatens to end Lake's life. 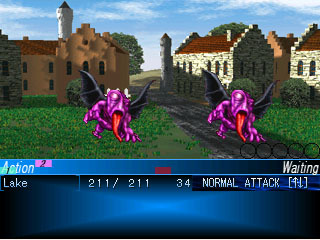 a blue-haired lady, with white wings fully sprouted, appears out of nowhere as she defeats Irmgard with ease, saving Lake's life in the process. Shrouded mysteries , sneaky conspiracies and surrounding speculations. Convictions that spread like wildfire, and the determination to escape one's fate. Just what lies ahead for Lake and the mysterious lady as they seek answers to the recent events? A young man who works as an Devil Sweeper within the remote regions of the East Continent. Left in the care of Ilyena's Orphanage shortly after he was born, he was hence brought up without the presence of his parents. That complexity may have resulted in him developing a partially wild and violent personality. A mysterious female angel who appears in the nick of time and saves Lake's life from the verge of death. Her origins and motives are unknown. A pastor of Hawick Church who acts as the Father to the young seraph orphans in Hawick and has the heavy responsibility of protecting them for harm. Kind and gentle as he might be, he was once a ruthless Bounty Hunter who never had any second thoughts of killing his targets. His former job and nature eventually led to his wife and daughter's separation from him and he never got to see them ever again. Filled with remorse, he decided to turn for the better and became a pastor to atone for his sins. 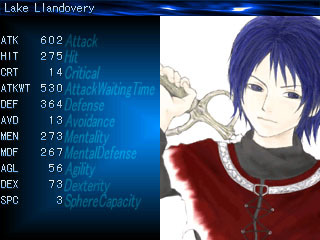 More characters to come as the demo translation grows bigger. This looks very neat. Thank you for translating! The game has been updated to the latest version! Now updated with 24 out of 44 episodes translated! And much of the old translations revamped! Do check it out in the link on the 1st post. Thanks! This is just to let everyone know that the translation of Seraphic Blue is complete! 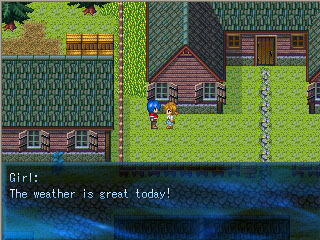 Hence, do head down to http://rpgmaker.net/games/2727/ and enjoy the game!